Ever since the eurozone debt crisis has started and the reforms that in practise deepen the integration of the Economic and Monetary Union (EMU), more and more often comes up the question - what is missing? On the one hand, the member states are independent, but on the other they are pretty dependent on each other, they have voluntarily handed over part of their sovereignty in the name of building a stable union. But the Union is not as stable and it gets really shaken whenever elections approach in a member state. We are used to call such states "key" members which is mainly relevant for eurozone members and especially those that are of systemic importance (after Wolfgang Schäuble, who said that Cyprus was not of systemic importance and there was no need to hurry bailing the country out). The elections in Italy are another proof that something is missing. Who won the elections in Italy? 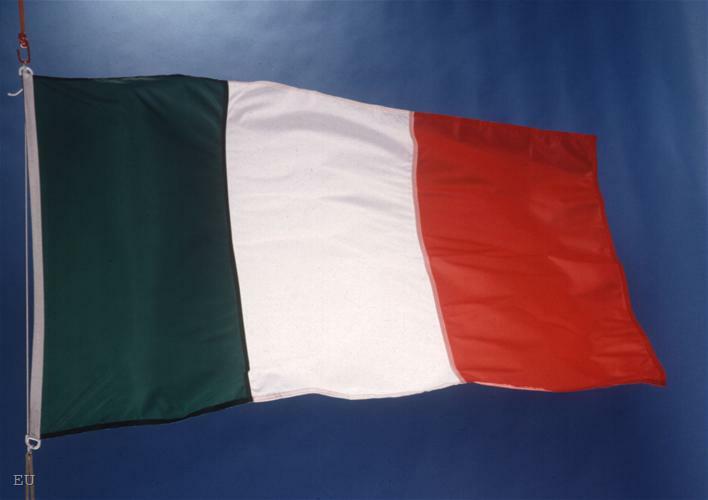 This question is a subject to multi-polar interpretations, but the facts show that Italy is divided into three, at that almost without any conditionalities. With voter turnout of 75.21% it is hard to expect any conditionalities. The first part of the voters voted for a coalition, led by Socialist Pier Luigi Bersani. The coalition consists of ten parties and has won totally 31.6% of the votes for Senate or 123 seats. With the biggest contribution to this outcome is the leading Democratic Party of Bersani, followed with a huge distance by Left Ecology for Freedom (Sinistra ecologia e libertà), which has managed to contribute to the common success by 3 per cent. Second is the right-wing coalition, consisting of 13 parties centring around the People of Freedom (Il Popolo della libertà) of Silvio Berlusconi. The coalition has won 30.7 per cent of the votes or 117 seats in the Senate. Of them 22.3% or 98 seats belong to Berlusconi's party. 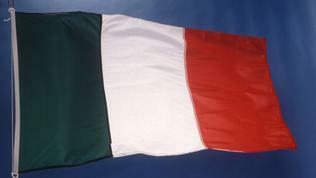 The second largest party in the coalition - Northern League (Lega Nord) - succeeded in brining in only 4.3% or 17 seats. Against this background, the big surprise is the result of comedian Beppe Grillo whose Five Star Movement (MoVimento 5 Stelle) has managed to win 23.8% of the votes for Senate or 54 seats. The Civic Choice of Mario Monti, the technocratic prime minister who replaced Berlusconi by a European castling in November 2011 and headed a technocratic government, managed to gain only 9.1% of the votes or 19 seats in the Senate. In the lower chamber of the Italian parliament the situation is identical, but much more complex and forebodes extremely difficult formation of a government and after that almost impossible legislative work on key laws. There the picture is as follows: Bersani's coalition has won 29.5% or 345 seats; Berlusconi follows very closely behind with 29.1% and 125 seats; Beppe Grillo is again third with 25.5 per cent and 109 seats; and Monti has 10.5% and 47 seats. The results are very interesting and show several very telling things. First is that a large part of Italian citizens said "basta" to the status quo and want something new. Those are all who voted for Beppe Grillo who does not offer them anything in particular, he has no specific working programme, but he is determined to expel from power the old parties. In his blog, which by the way is maintained in English too, he has a posting titled "Give Up!" The posting goes on: "You are surrounded by the people of Italy. Come out with your hands up!. No one will touch you. Your time is up. Don’t meddle with luck that has been on your side until now. Now when people are talking about things out in the streets, they talk about you in the past, as though you were extinct persons. When you appear on TV, you trigger off insults that are equivalent to the vilification of cadavers. What is astounding is your mad insistence in not stepping aside as though you were entrusted with a divine mission". Beppe Grillo's statements are visibly disorganised, spontaneous and sometimes quite emotional. This, by the way, is quite familiar as an approach in Bulgaria, where outgoing Prime Minister Boyko Borissov has managed to win with similar type of talking two terms as a mayor of the capital city Sofia and then he became a prime minister. There are no reasons to doubt that his party GERB will not have again stable results and will be a key party in the next parliament. According to media in Italy, the results are a consequence of the failure of "professional" politicians for failing to offer an alternative. Massimo Gramellini from La Stampa believes that it would have been pretty sufficient to offer a decent self-reforming system, a little reduction of costs and the number of members of parliament, an election campaign that does not talk about figures, but instead about environment, life, the future. Instead, Gramellini writes, politicians spoke of the loss of their own world, about cold numbers, about Merkel and murmured metaphors. In an editorial the centre-right Corriere della Sera writes that Grillo's populism has won because he worked with facts, he wanted to change the political class without however setting political goals. And now the main question is was there another way. The alternatives, on the one hand, are a 76-year old politician surrounded by an army of servants and on the other are the old oligarchs. Monti also failed in offering an alternative and something specific and he even got involved in scandals. And what happened, the newspaper asks, we were not supposed to worry the markets and Europe because we should not massacre our spreads. Who expected that a discredited and corrupt political class can offer guarantees to the EU then? Beppe Grillo himself writes in his blog that his Five Star Movement will be an extraordinary power and will not even think of messing up with any deals. "[...] we’ll do everything that we have said we’ll do in the election campaign". He thanked everyone who supported him and recalled that his movement is the only one that succeeded thanks to the efforts of volunteers. "The first entity in absolute terms after just three and a bit years, without money, without ever having accepted the reimbursement of expenses. Now we’d be eligible to have 100 million. We’re not taking the money. We’re going on like that. Wait for us in Parliament", Grillo writes. 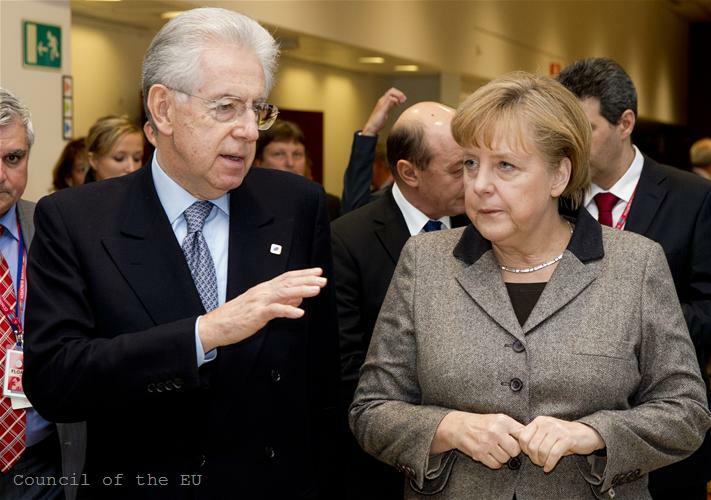 Although many people in Europe are disappointed by Mario Monti's failure, a former EU commissioner and author of ideas about deepening of the single market in his capacity of a professor in economics, he said that in fact he is pretty much satisfied with the outcome. "In only 50 days we managed after starting from scratch, without structures, without anything", Monti said. Even our hopes were limited, he added. In such an environment of obvious desire of the Italians for something new, Monti had bigger chances. His mistake was that he decided to come out of his technocratic garment and get involved in politics very late. Some analysts say his problem is that he remained very "serious". This is a fact. He continued to behave as if imported from the outside, as a foreigner, as appointed by the EU. His platform was brilliant. He selected his people via very strict criteria, among which not to have participated in parliament before, not to have been investigated or in general not to have been compromised. He demanded an entirely new and more European (meaning more northern) culture in Italy. Not that it is impossible such type of culture to be seeded in Italy and bear fruit, but Monti had 15 months to sow these seeds and he decided to do it literally in the very last moment when the campaign was getting started. Il Professore had no time to disseminate his ideas and the language he used did not reach the majority of Italians against the backdrop of the cacophony of various voices that overflew the public domain. He wanted to play too much of a saint in the country, but was unable to cash down his achievements in the past 15 months. In the end of the day, when everyone is lame in the country and you want to win, you should too start limping. Monti did not do that and remained distant. But it is possible as well the problem to be precisely as described by the spokesperson of the European Commission Olivier Bailly. He explained at a special news conference on Tuesday (February 26th) on the occasion of the elections in Italy that the programme developed in the past 15 months was in the right direction, but positive results could not be expected in a few months. It is true, he said, that there is no positive effect on the level of debt and unemployment, but there is on competitiveness and the economy as a whole. If we had not done that, he asked, when would the bill have been tabled to the Italians and who would have had to pay it? Again the Italians, Olivier Bailly said and asked another question - and what would have been the size of that bill? 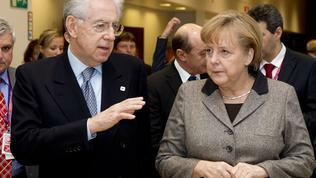 The more the reforms are postponed the bigger the bill will be, but in all cases it will be the Italians that will have to pay it, the spokesman concluded underscoring that the Commission will work with whichever government in Italy only if it sticks to the commitments. The winter forecast of the European Commission for Italy shows that there is positive effect from the work of the technocratic government over the trade balance which for the first time since 2004 is positive. The yields on government securities are also lower which is expected to lead to gradual improvement of financing conditions and confidence. Hitherto, the markets momentarily reacted to the motley election results in Italy as the price of the ten-year old bonds rose from 4.4% to 4.9% on Monday. Alas, the forecast for economic growth remains gloomy - a decline of 1% this year. The gross domestic product could expand by 0.8% in 2014. The forecast is quite cautious, though, in its assessments probably in expectation of the election results. It is pointed that the budget deficit was 2.9% of GDP in 2012 which is on the edge of the Maastricht criteria, but the debt is the most worrying, as Olivier Bailly recalled. The public debt is expected to reach 128.1% this year. The spokesman recalled that through the years the Italians piled unacceptable levels of debt which will be a burden for generations to come. European Parliament chief Martin Schulz for his part recalled that Italy was a participant in agreeing the criteria of the Stability and Growth Pact which command debt not to exceed 60% of GDP and the budget deficit not to exceed 3%. He said this responding to criticism that the austerity is being imposed by the EU. Italy is part of the EU, it is one of the founding members, Schulz reminded, but underlined that the election results are a message for the European institutions as well. The disciplinary measures should be accompanied by growth-friendly measures and most of all measures in support to young unemployed, he said. 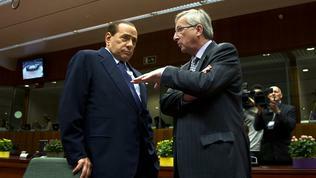 What will the next government in Italy be is difficult to predict now. According to some Italian journalists it is possible no government to be formed by the autumn. Most political players, however, are calling to avoid a repetition of the elections. But compromise seems difficult if not impossible. The EU also calls for a compromise. What remains unclear, however, is what problems precisely will a compromise solve against the backdrop of the much deeper problems in the country. The Commission said many times that it had complete confidence in Italy's democracy which seems irrelevant given the recalls that this is a founding member of the EU, which means a country that shares the Union's democratic values. It is visible, though, that there is a problem. And by the way it is especially visible in Bulgaria too. Yes, democratic elections are taking place, but what kind of a choice is there? The same people who for decades fail their voters continue to define the agenda without having even the slightest traces of shame and who cannot be overthrown not even by grand scandals. Isn't this a democratic dictatorship - absolutely limited choice in an otherwise quite democratic procedure? These are questions the EU is yet to ask itself, may be while deliberating on the possibilities for a political union. So far, the focus were short-term measures to control the situation in the eurozone and to save the euro as a single currency. But the foundations of a deeper integration are being laid while we speak in the longer term. There is a talk about a social pact, about a political union, but obviously it is high time to speak of a political pact. A pact that will ensure that the commitments to the other partners will be kept and that the promises to voters will be in line with those commitments. Because Beppe Grillo believes that the minimum wage in Italy should be 1000 euros, but he does not answer the question where will the money come from for such a minimum wage. He also does not say how many employers will be able to hire with such a high minimum wage and unemployment in Italy is relatively high - over 11 per cent. The big political families in Europe need to conclude a pact which will define the thin red lines the crossing of which means that measures in a country will affect all the others. The upcoming in 2014 European elections are a really good occasion to raise this and many other issues. As a matter of fact, Commission President Barroso has increased his efforts to disseminate his blueprint for deepening of the Economic and Monetary Union. 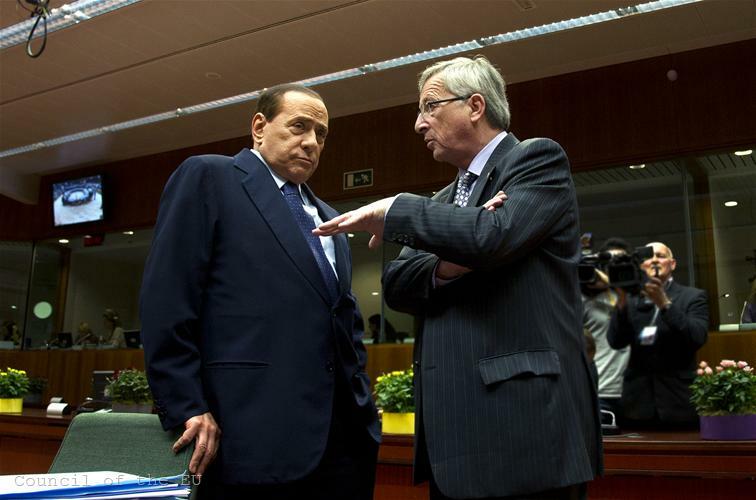 This blueprint, however, is doomed by the elections in a systemic for the eurozone country. No one will agree to deeper integration unless they have guarantees for their security - economic and political security.